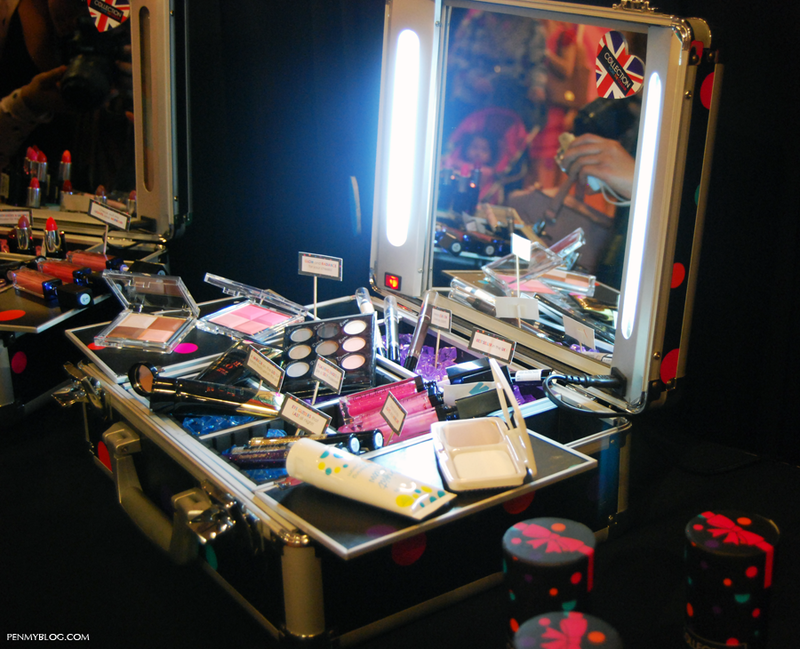 Following it's launch in Kuala Lumpur in April, Collection Cosmetics has been one of the most notable colorful cosmetic brand that offers high quality makeup inspired by high street trends. Being around for the past 25 years, this brand was only available in the UK, so for those that were looking to make a purchase had to do so internationally. This was a little bit difficult as you can imagine, so when Collection Cosmetics made it's debut in Malaysia, many of us beauty lovers went a bit wild in response to it's launch. 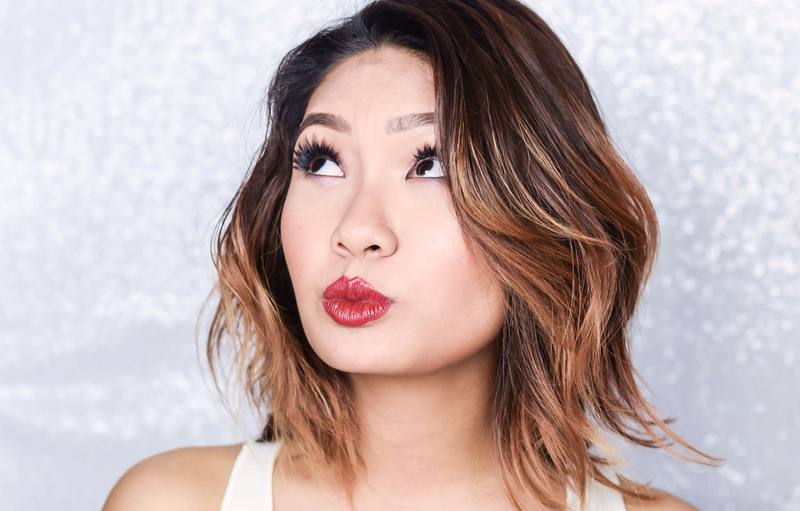 As this is the first time I have expose Collection Cosmetics to my blog site, let's have a brief overview on their pricing, brand essence and products. For those of you who do not know where Collection Cosmetics is located, this brand can actually be found in selected Watson stores in Kuala Lumpur. With it's hip tagline of "Work The Color", Collection Cosmetics targets a rather young generation of women, especially to those who are bold enough to experience their life with color. 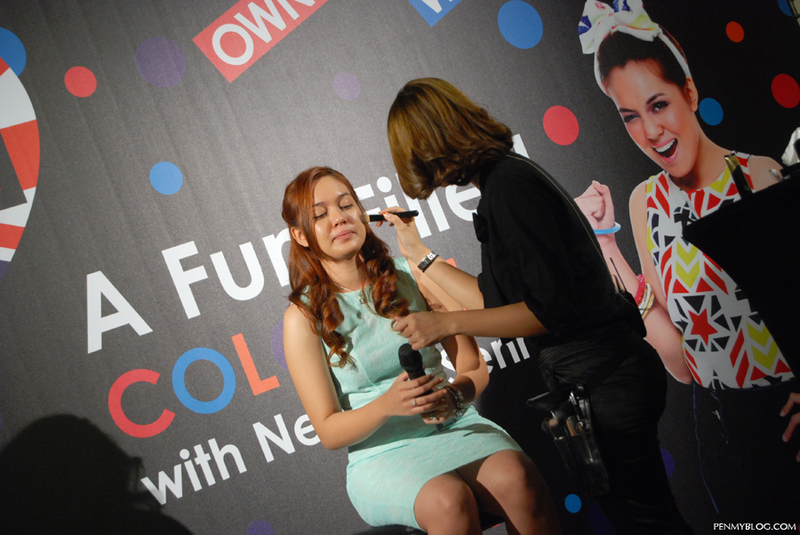 Thanks to our beloved Butterfly Project, our intimate session with Collection Cosmetics included a makeover by their staff along with lovely finger food, a photo-booth session and a demonstration and talk by brand ambassador and actress Nelydia Senrose. We also had the chance to sample some of their products as well, so I will give a brief highlight on two of their key products that caught my eye below. 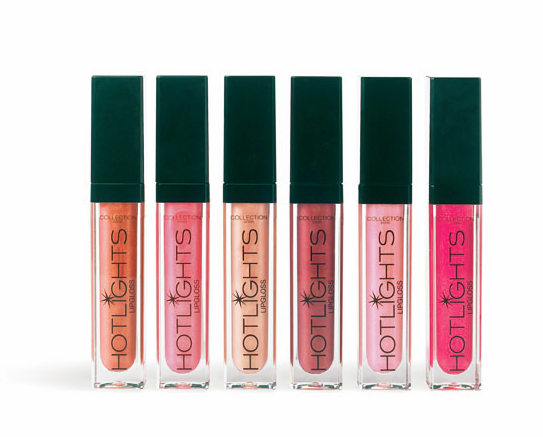 First up the Hotlight Lipgloss. This retails for RM24.90 at selected Watson stores and comes in six shimmery shades that are perfect for any type of lip. 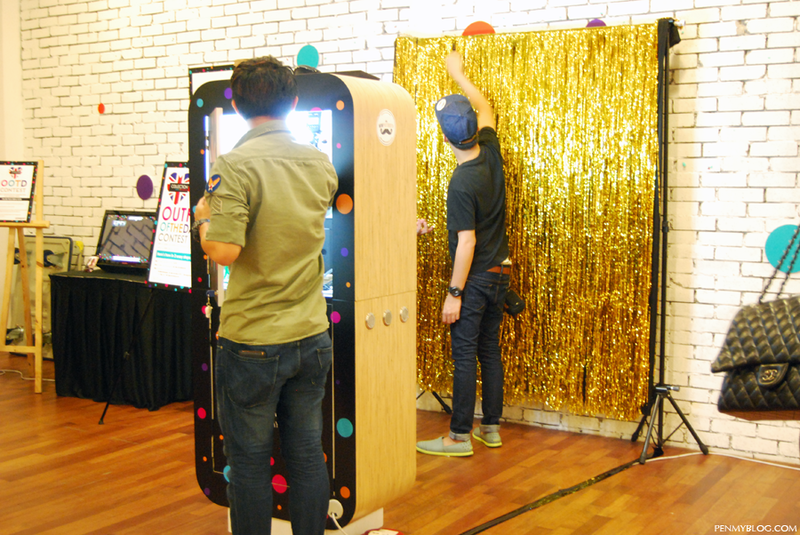 It has a built-in light and mirror as well, so no more worries about putting on your lip-glosses in the dark! Next up, eyeliners. 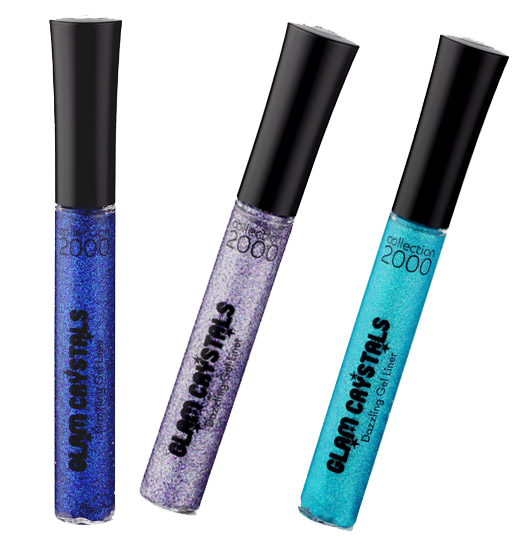 I'm quite a sucker for this so it's no surprise that this was one of the first things that caught my eye.The Glam Crystal Glitter Eyeliner is a far cry from the usual black liners you would usually see in stores and is extremely pigmented despite all the glitter you see in it. Retailing for RM22.90, it comes in a total of 14 shades and compliments those who are looking for that extra razzle dazzle for their eyes. 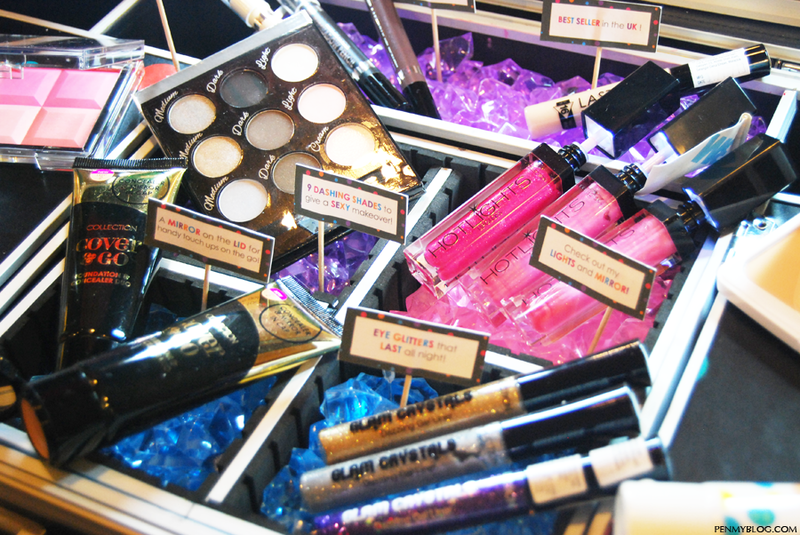 So what do you think of that little sneak peak on Collection Cosmetics products? A very fun filled range with an extremely affordable price tag don't you think? Later on, Collection Cosmetics demonstrated their products on Nelydia and showed us two different types of looks; one for day and another for night. Personally I enjoy simple makeup but for a fun night out to be achieved in a few simple steps, why not right? There was also a best dressed competition going on and five winners were chosen based on their creativity and colorful looks. I especially liked the one with the yellow headband and pants, kind of reminded me of one of those looks you would often see on Lookbook. I will definitely go and experiment more with Collection Cosmetics soon so do keep a look out for more postings on the brand. Collection Cosmetics is available at selected Watsons stores and fashion label F Block stores in Sunway Giza, Setia Walk Puchong, Farenheit 88, Cheras Leisure Mall, Bandar Baru Sri Petaling, Kuchai Lama and Bangsar Baru. However, if you would like to find out more about Collection Cosmetics, kindly head on over to the links below for more information.